Made of Moon stone in Silver. Moon Stone Pendent satisfies astro requirements. The stone is clear and round in shape. Moon Stone is related to Moon. Improves concentration and calms the mind. Moon Stone is a stone to enhance the powers of moon which in turns signifies mother, softness, generosity, charming eyes, steady mind, menses, infants, love, family life, beauty, watery places and passions, conception and birth of child. 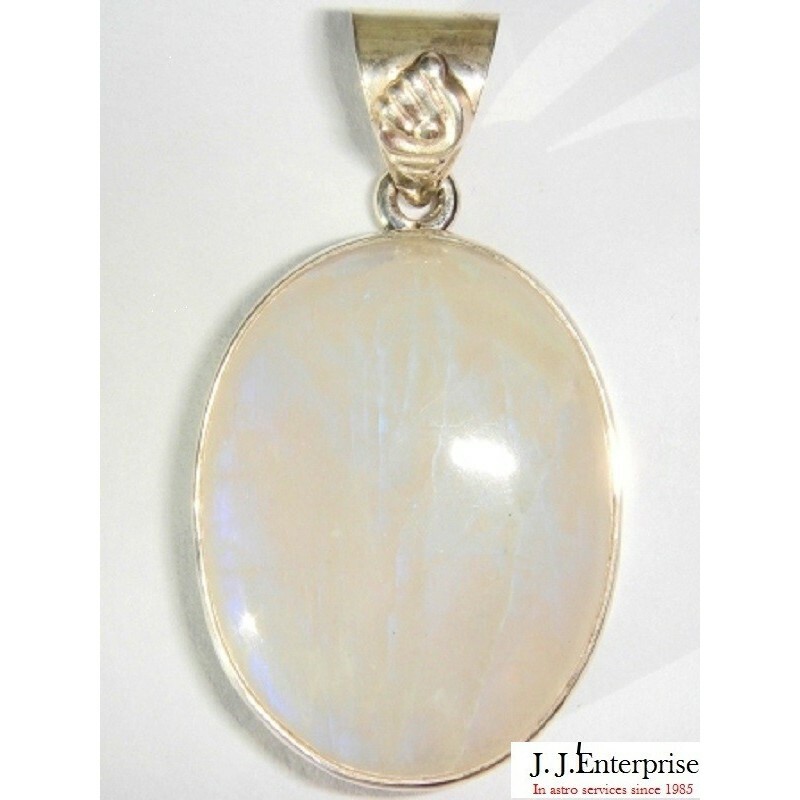 Moon Stone is used to remove the evil effects of moon and in turn it strengthens the mind . Moon Stone is very useful for ladies as it increases their beauty and facial luster. It develops good harmony between husband and wife.